We present to you the tray of 4 earthenware cups Graphik, to bring a decorative note to your presentation of table and to present dishes of your confection. 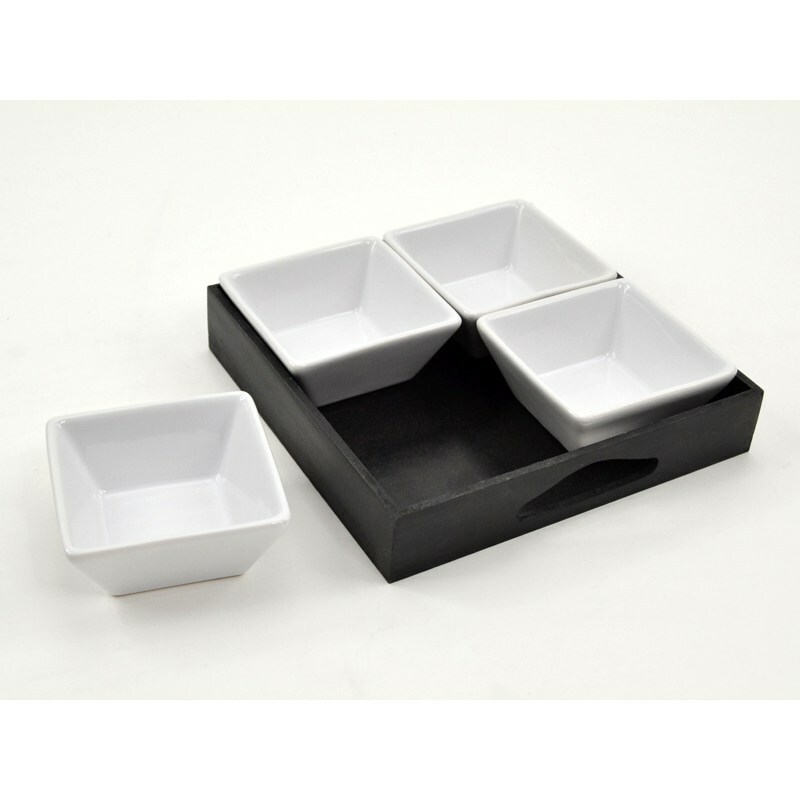 We propose you the tray with 4 cups faience Graphik, to present your dishes in very aesthetic dishes, ideally entries. Their clean design and their beautiful white and black color will bring a great decorative touch to your table. The tray has two holes for easier transport. The cups measure 20x20 cm and can accommodate enough food to make beautiful presentations of starters for your meals. Their design and color makes them very easy to integrate into your table, they will be perfect to decorate the decoration. Their faience design makes them easy to maintain, their color is also durable over time.